Cozy Lodge Hotel Near Gore Mountain | Great for Ski Vacations at Gore Mountain! Two bedroom suites with efficiency kitchen. 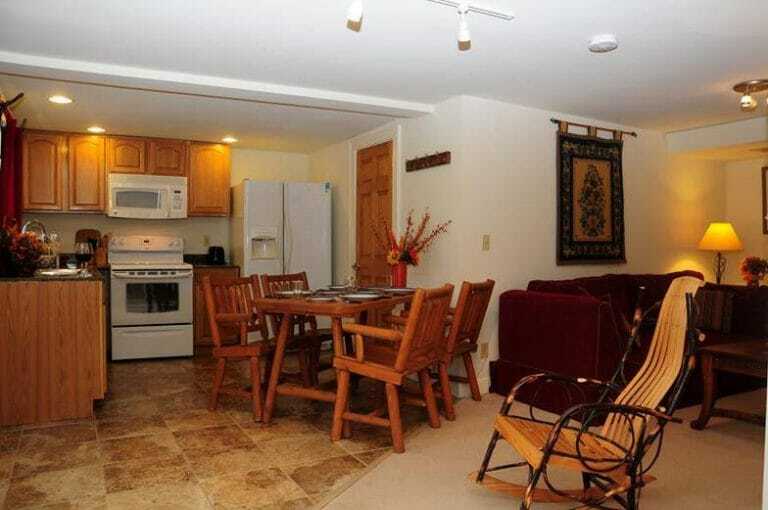 Kitchen Suites- Great for families on ski vacation! Two bedroom apartment with a king-size bed in the master bedroom, two twin beds in the second bedroom. Includes a fully equipped efficiency kitchen and living room area (with a double size convertible couch) in the quaint mountain village of North Creek. Adirondack accommodations tastefully decorated in a North Country motif. Walk to grocery store, bakery, diner, bars, etc. Living room with cable tv and free WiFi. Daily housekeeping and linen provided. Centrally located to enjoy all the options the Adirondacks offer; rafting, tubing, hiking, swimming, biking, fishing, and golf. Maximum 4 persons. Optional ski packages available.